© 2011-2013 PetMinders, Inc. Who will take care of your pets when you can't? PetMinders, Inc. is your answer! Whether furry, finned or feathered, PetMinders, Inc. delivers premier in-home petsitting services in the Somerset, Union, Middlesex and Morristown, New Jersey area. 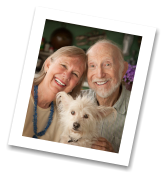 Established in 1995 PetMinders, Inc. offers petsitting services year round. Our staff will provide your pets with the care and attention they deserve in the comfort and familiarity of your own home. No longer is it necessary for you to place your animal in unfamiliar surroundings, bombarded with sights, sounds and smells that it doesn’t know or understand. 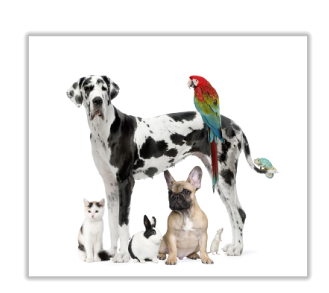 PetMinders, Inc. allows you to keep your animals in their favorite place…..their home. PetMinders, Inc. is bonded and insured. We are a member of NAPPS, (National Association of Professional Pet Sitters), PSI, (Pet Sitters International), WBPA, (Warren Business and Professional Association) and the APDT, (Association of Pet Dog Trainers). Animal care professionals agree that if you can possibly keep your animals in their own home while you are away all the better. Imagine how much stress an animal is put under when it is taken out of its home and placed in an unfamiliar situation without its humans? We are unable to communicate to animals that after a few days/weeks their family will return to get them. Our pets live in the here and now. All they know is that life for them has changed and become unknown. By keeping your pets in the environment they know and love their instincts tell them that all is well and that you will be returning. In the meantime, PetMinders, Inc is there to not only provide them with life’s necessities but give them lots of tender loving care until your return. So, you have a new puppy? PetMinders, Inc. is your solution to raising a well-adjusted puppy with good potty habits. Young pups require much more time and attention than their older counterparts. Providing your young dog with mid-day visits will aid housebreaking and help ensure that separation anxiety does not develop. Have an older dog, but work long hours? Such is the lament of many busy working professionals. PetMinders, Inc. allows busy families to enjoy the companionship of animals. Using PetMinders, Inc. for mid-day visits while you are busy attending to work or other chores takes some of the burden off of busy schedules. You can come home to animals that are well-exercised, fed, have their cages and/or litter box cleaned and are now ready for some cuddle time with their family. Call PetMinders, Inc. at 908-755-PETS (7387) or email us at petmindersinc@yahoo.com to schedule a complimentary consultation.